When living in a small apartment, or trying to furnish a small room in your home, it can be quite difficult to find space for everything. 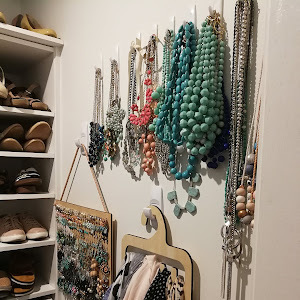 There are a lot of ways around this, we can show you how to make small living fun. Having furniture that adapts for guests can be a real-life saver. How about a footstool that turns into a bed or a coffee table that doubles up as a dining table? Check out some of BoConcept’s genius designs that can breathe life into small living areas! 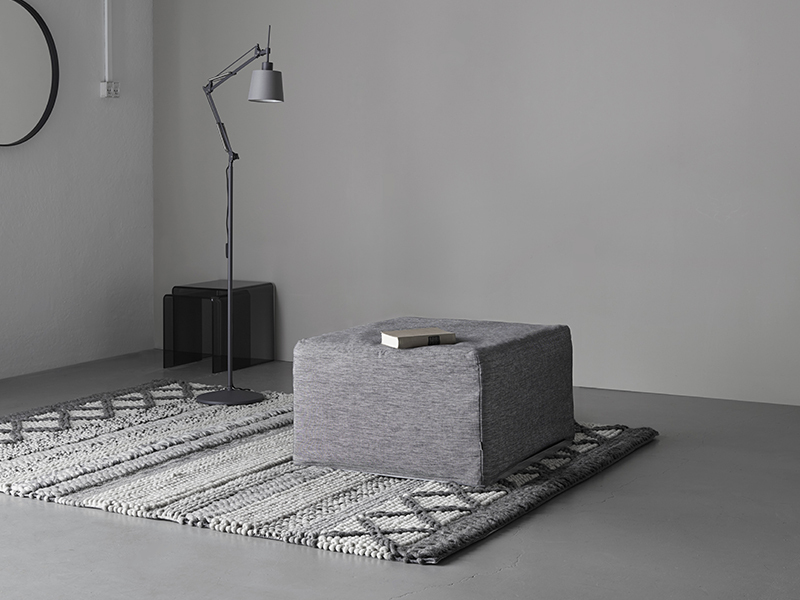 The 3-in-1 Melo sofa is a neat and comfortable 2-seater sofa that comes in grey or grey fabric. It can be used in 3 different positions, seated mode (sitting upright), recliner mode (lying back with feet up) and bed mode (lying down) with simple and easy movements. The Xtra footstool is a hidden gem, it looks like a simple square footstool, until you take the cover off and reveal and bed folded into 3 underneath. Customize the cover fabric to suit your interior space or put 2 together to make a double bed if you have a couple staying or just want more room. The Rubi coffee table is also a dining table – perfect for entertaining guests over a meal and when you’re done, simple fold it up into a coffee table again. The legs are completely adjustable to any height and the table top simply turn 90 degrees to cater for either function. The Mezzo storage bed is ideal for a small bedroom with limited wardrobe space. 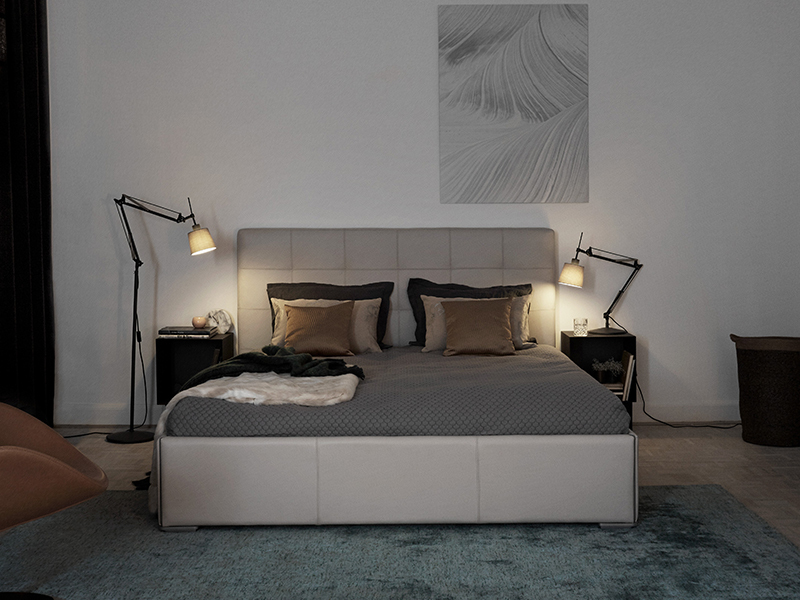 Simply lift the modern bed frame up, hinging on an angle to reveal a whole storage compartment underneath. If you have regular guests staying and need to change the sheets a lot, having the mattress in this upright tilted position will save your back throughout the festive season! The Milano is a sleek, minimal and easily extendable dining table. Simply pull out either end, reach for the handle attached to the middle section and lift out the middle, which opens and forms a new section in the centre, lengthening the table. 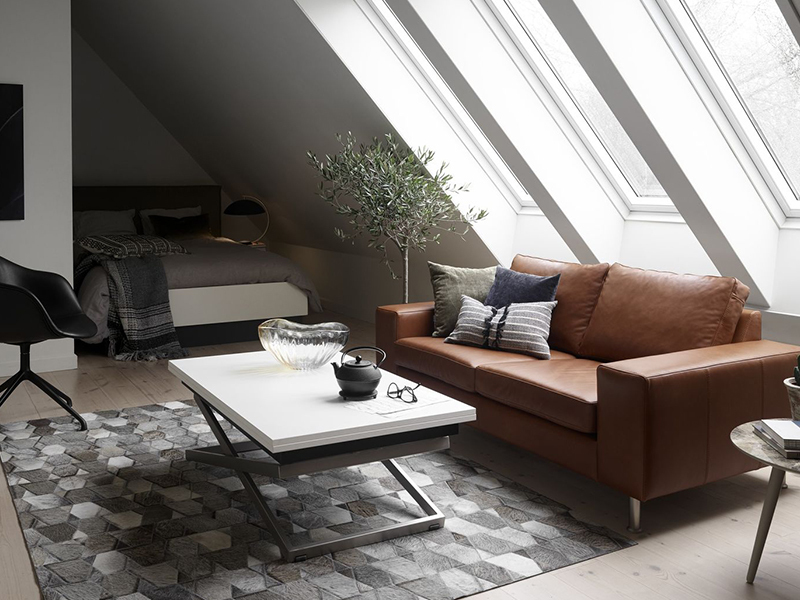 BoConcept are specialists in multi-functional furniture - check out their full range online or why not visit one of their furniture stores in Sydney to see their furniture first hand, with stores in Moore Park or Crow’s Nest. They have a team of dedicated interior design consultants on hand to help you with your needs.